_ (Via Government of Ontario) _ Ontario is increasing its investment in the next phase of Ottawa’s Light Rail Transit (LRT) project, extending the line further to help manage congestion, reduce emissions, and increase transportation options for commuters and families in the capital region. Bob Chiarelli, Minister of Infrastructure, was in Ottawa today to announce that Ontario will contribute up to $50 million to the construction of a 3.4 km extension of the Trillium line to a new terminus station near Limebank Road in Ottawa’s Riverside South community. This new funding is in addition to the more than $1 billion Ontario has already invested in the Stage 2 LRT project-the single largest investment any provincial government has made to support Ottawa public transit. Riverside South is one of the fastest growing areas in Ottawa. 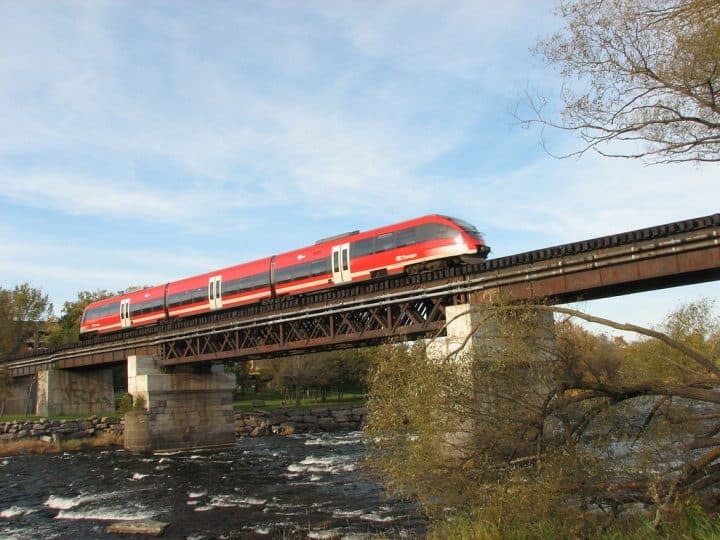 Extending the Trillium Line to Limebank Road would encourage more people to take public transit and promote better planning through efficient land use as the Riverside South community continues to grow. The Ottawa Stage 2 LRT project is jointly funded by Canada, Ontario and the City of Ottawa. It will add over 40 kilometres of light rail and 24 new stations by extending the Confederation Line to the east and west and the Trillium Line to the south, including a spur to the Macdonald-Cartier International Airport. Since 2003, Ontario has committed more than $2.3 billion to public transit in the City of Ottawa, including more than $452 million in Gas Tax Funding. Preliminary construction on the Stage 1 Confederation Line began in April 2013, and the line is expected to be in service in 2018. Construction on Stage 2 LRT will begin following the completion of the Stage 1 Confederation Line and is expected to be fully in service by 2023.